The Doctor was in! 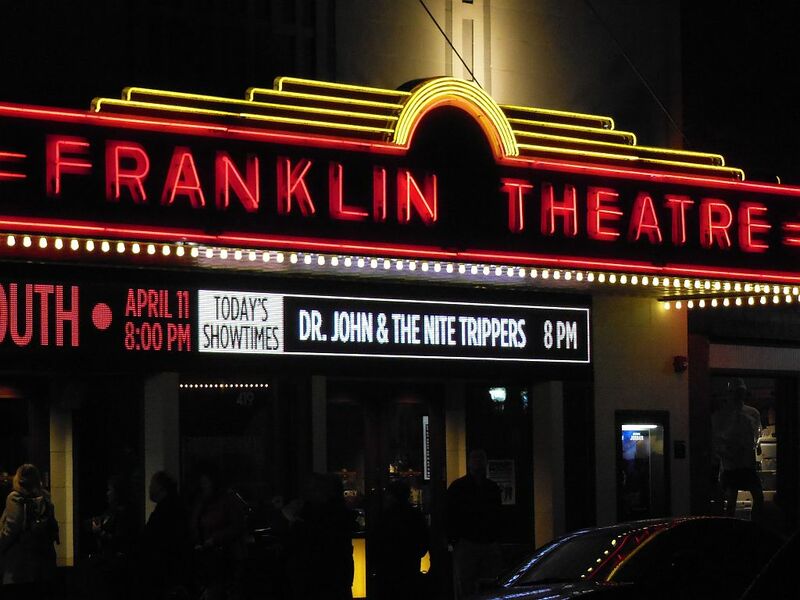 Last Friday night, Dr. John came to downtown Franklin to medicate a sold-out crowd with a healing potion of New Orleans-flavored jazz and R&B in a soothing 100-minute set. In the process, seeing the 72-year old Rock and Roll Hall of Famer (Class of 2011) knocked another classic artist off my concert bucket list. I have long respected this “musician’s musician” whose solid career boasts two landmarks: 1973’s #9 hit single “Right Place Wrong Time” and the 1976 killer performance of “Such a Night” at The Last Waltz with the Band. The lively crowd, most of whom were old enough to be around for these moments, was blessed to hear both tonight. These days, everyone seems to have a Nashville connection, and the Doctor is no exception. His 2012 Grammy-nominated LP Locked Down was recorded right here in Music City with The Black Keys’ Dan Auerbach handling the production. 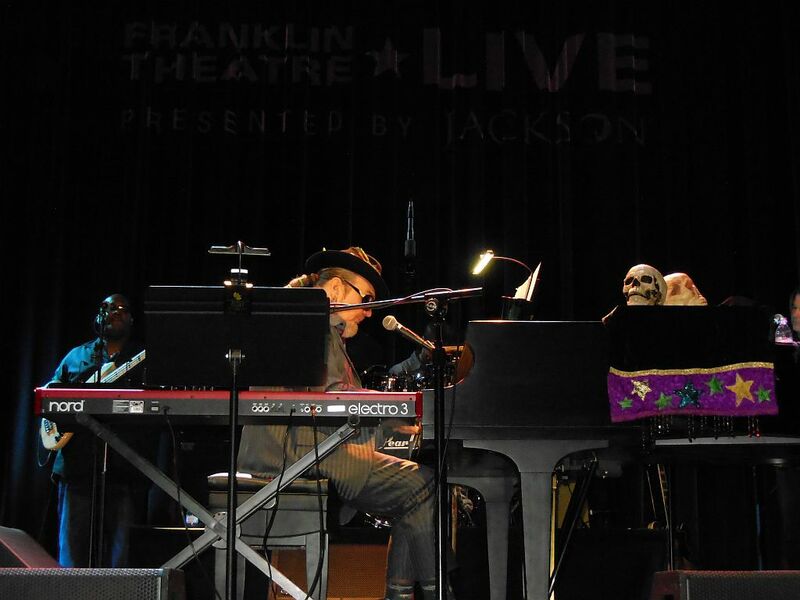 Tonight marked a return engagement for Dr. John, since he played to an overflow crowd last September at Lightning 100’s Live at the Green in downtown Nashville. The Doctor has a new band, and this date was only one of a handful they have played together. Back in January, he revamped his entire team, cutting ties with both his management and his long-time supporting musical cast, the Lower 911. 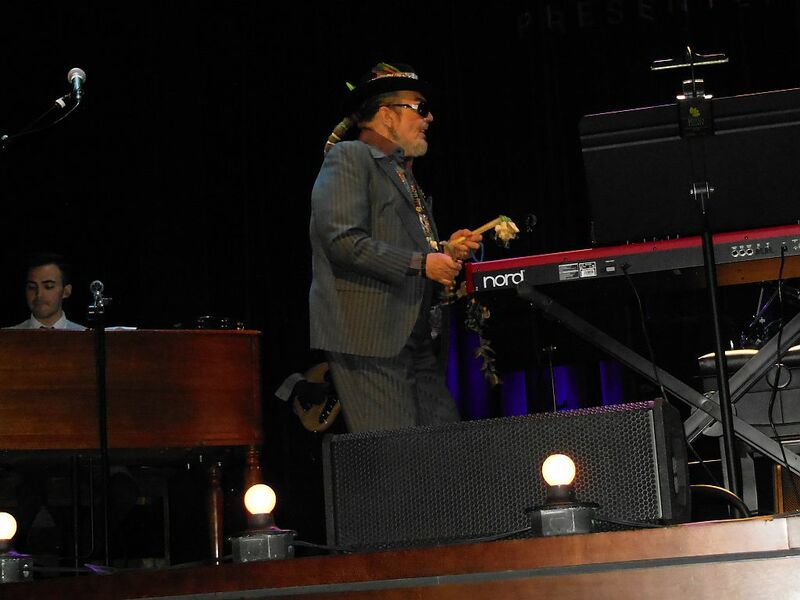 The only holdover from that band was its most recent addition, Sarah Morrow, who Dr. John made his musical director. Miss Morrow, perhaps the only female trombonist I have ever seen, was a schoolmate of Auerbach and was responsible for making his appointment with the Doctor. Throughout the first half of the show, I thought we might be in for a surprise Dan Auerbach appearance when I noticed a lonely mike stand and Fender positioned stage right. Actually, the surprise turned out to be the Doctor leaving his piano/keyboard station to play some nasty guitar on a cover of Earl King’s “Let the Good Times Roll.” I never knew that this masterful keyboardist also played the six-string. The main set concluded with extended solos from each of the talented band members during the Doctor’s introductions. Dr. John gave shout outs to all of his team right down to the bus driver. He also gave a nod to locals “the slamming McCrary Sisters” who contributed some backing vocals on his last record and were there watching the night’s festivities. The Doctor then closed shop with a lovely version of “Such a Night.” It was such a night indeed. 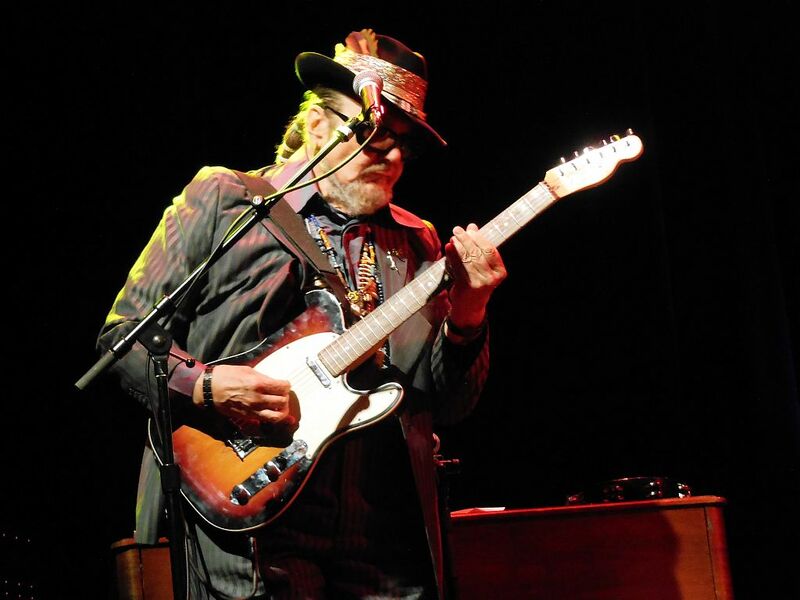 Dr. John’s musical legacy has contributed to the naming of both a major music festival and an album title of a 1973 LP by a progressive rock band from Britain. First one to tell me both names wins a prize.